Inter-connected single track paths for walkers, bicyclists and equestrians. 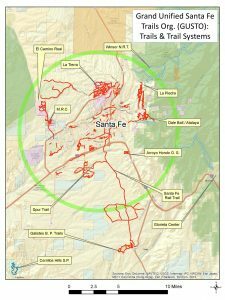 The “GUSTO” initiative is an effort to study and develop an integrated and unified trail system in and around the Santa Fe area. 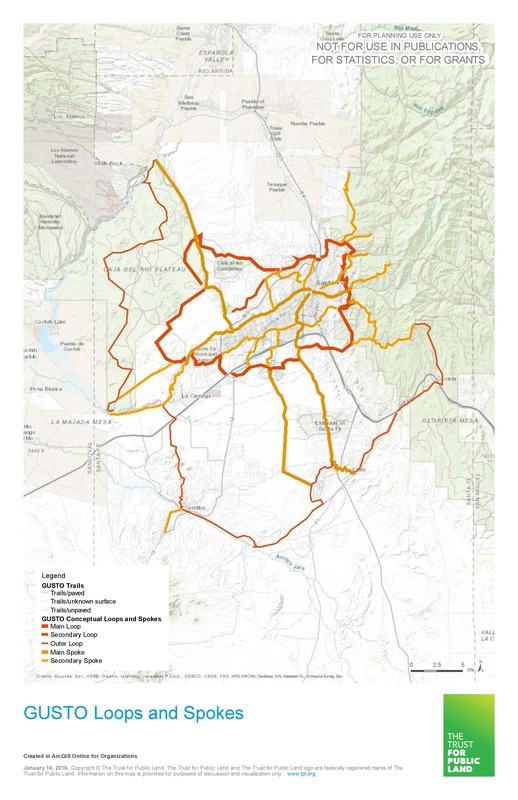 GUSTO’s vision is a “grand unified trail system” that allows non-motorized users to travel in a loop around the greater Santa Fe area as well as between the urban center and the periphery. The GUSTO initiative will lead community participation efforts to have a unified, sustainable trails system built around the entire metropolitan area. 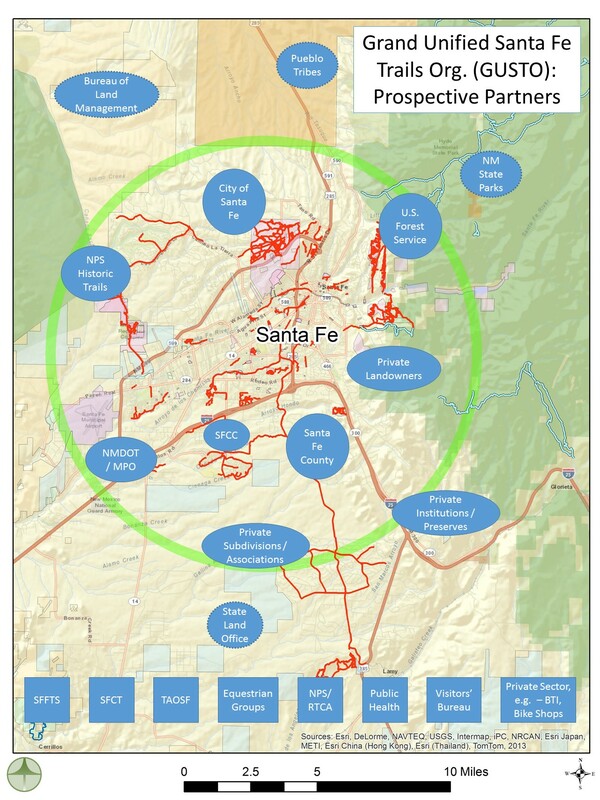 SFCT is happy to embark on the GUSTO planning expedition with Santa Fe Fat Tire Society, National Park Service, Santa Fe County Horse Coalition, the City and County of Santa Fe, and many other local and regional partners interested in creating connections between our area’s various trail systems and the places where people live, work, and play. Come learn more about GUSTO at our Open House and Trail Sampler at the Railyard Park Community Room on Mar. 29-30, 2019! 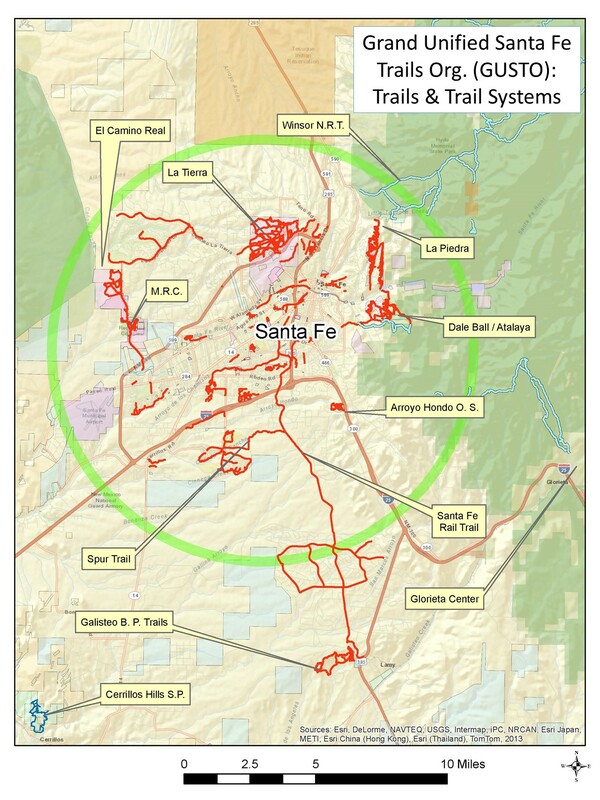 City of Santa Fe Resolution 2016-02 in Support of Grand Unified Trail System: Passed by City Council, Jan 13, 2016. The City Council resolved to support GUTS and directed staff to work with private and public sector partners to help achieve the GUTS vision. 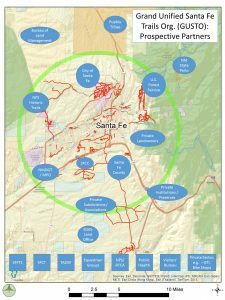 Santa Fe County Resolution in Support of Grand Unified Trail System: Passed by County Commission, July 26, 2016. 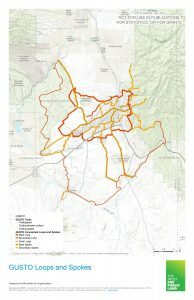 The Grand Unified Trails System initiative and the proposed County supporting resolution were discussed with the County Open Lands, Trails, and Parks Advisory Committee (COLTPAC) on Jan. 13, 2016 with a favorable response that helped move the resolution forward. 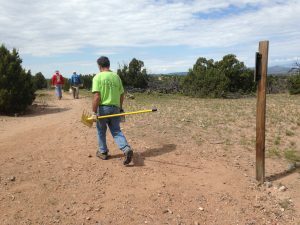 The Santa Fe Conservation Trust would like to thank Christopher Larsen / Larsen Fund and the Lineberry Fund for generous support for our coordination of and participation in GUSTO planning and implementation.